Free agricultural bus tour of a local dairy farm, meat processing facility, equipment dealership and nursery. The tour is geared for adults. 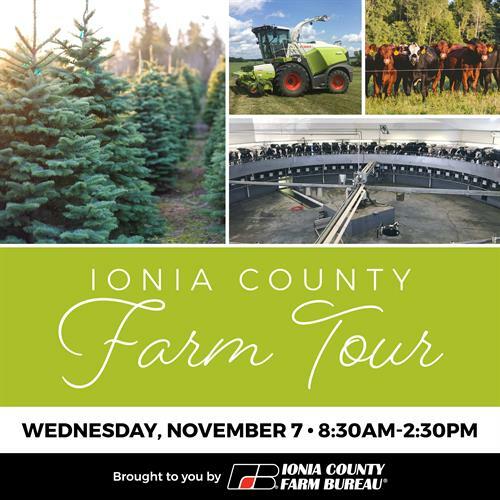 RSVP to Ionia County Farm Bureau at (616) 527-3961. Tour starts at Farm Depot in Ionia.